At the age of 22, Foamo aka Kye Gibbon has already established himself as one of the best producers to come out of the UK in recent years. It’s not often that talent comes rising through the ranks fully formed, undiluted, and with as much potential as Foamo has done. Countless comparisons have been made between him and some of the very finest and he's gained the support of DJs including Diplo, Armand Van Helden and Rob Da Bank. Not bad for a boy from High Wycombe. Known not only for the depth and quality of his engineering skills (never mind the huge basslines!) but also as a respected DJ, 2009 has seen him tour America and Australia, play to festival-goers across the globe and earn an exclusive residency at Chew the Fat! in the UK and at Space in Ibiza. One of the next generation of dance music's elite Kye was raised on a healthy diet of drum & bass, grime and garage, but it was through listening to Kissy Sell Out on Radio One that he was introduced to the more house-orientated sound that gave rise to his bass heavy 4/4 productions. 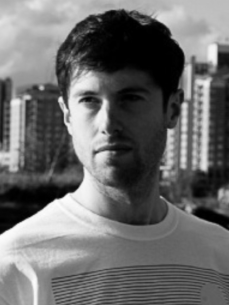 After the success of his first single 'Moving It Over Here' gained him international exposure his recent productions, including some huge La Roux bootlegs, remixes for Diplo & Laidback Luke and Dub Pistols, and 'It's Going Down', his ridiculously heavy collaboration with Lee Mortimer, have been supported by everyone from Annie Mac to DJ Zinc.